Dublin Dentist Office - All In One Dental Is Bringing You Tomorrow’s Dentistry, Today! 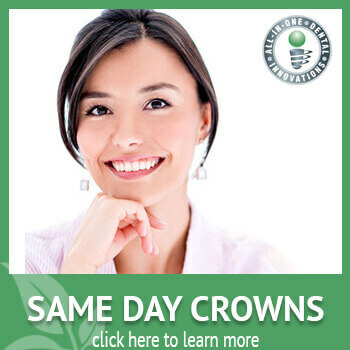 All-In-One Dental Innovations Is Bringing You Tomorrow’s Dentistry, Today! Looking for a dentist in Dublin that can meet all your dental needs without having anxiety during your visit? Is your fear of equipment keeping you from enjoying a set of eggshell white teeth, or is it simply the case of a painful past experience? Whatever it is, we have the solution for you. 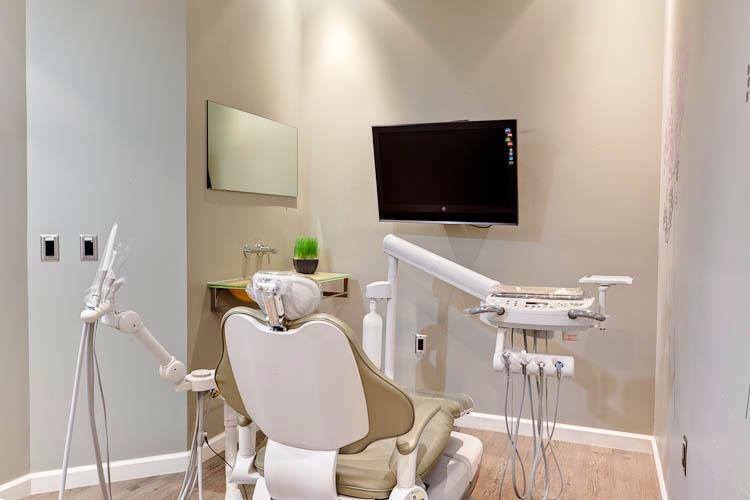 As a locally based and trusted dental office in Dublin, All-In-One Dental has a significant wealth of experience in general, cosmetic, preventive, and restorative dentistry. Using industry-standard tools and techniques, we can restore your teeth and oral health to pre-damage conditions as fast as possible, like it never even happened. 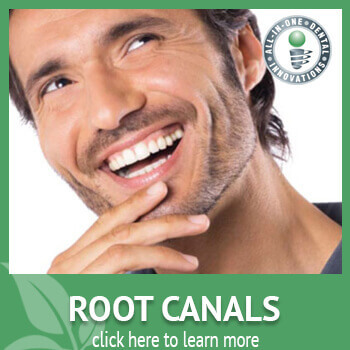 Our services include oral surgery, routine exams and cleanings, root canals, and fillings. We also work with a team of highly-trained professionals to provide conservative dentistry and non-surgical treatment for gum disease. 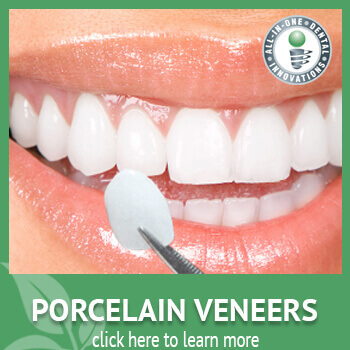 The idea is to ensure a smooth, painless gum restoration process. Our cosmetic services are up to par with national requirements and include tooth bonding, porcelain veneers, inlays and onlays, same-day crowns with CEREC®, and complete smile makeovers! We have even been known to provide successful orthodontic treatment using traditional braces and Invisalign®. Improving the appearance of your smile can be achieved with cosmetic dentistry services from All-In-One Dental Innovations. Sometimes referred to as restorative dentistry, cosmetic dentistry provides a solution to fixing any aesthetic problems you might have with your teeth, as well as improved function. We offer numerous services that can correct imperfections with the smile like gaps from missing teeth and staining due to age or habits. 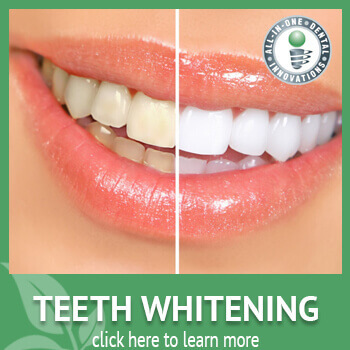 We are pleased to offer teeth whitening, veneers, bridges, tooth bonding, crowns, same day crowns, inlays, and onlays. Get the dream smile you have always wanted with the best cosmetic dentistry services. We are proud to be your go-to dental care professionals for general dentistry treatments. Dr. Huang provides comprehensive services that help keep patients oral health at its best. General dentistry is the most common procedures performed in our office and include root canals, dentures, fillings, and x-rays. Patients that are experiencing tooth decay, have missing teeth or have cavities will benefit significantly from seeing Dr. Huang. Whether you are in need of a root canal for a painful tooth or have a cavity that needs to be filled, trust the best dentist for your dental needs. Our goal is to make patients as comfortable as possible when having procedures done, and put their mind at ease that they are in good hands. Let our team help keep your teeth and gums healthy with preventative dentistry services. Taking care of your teeth at home with proper brushing and flossing habits isn’t enough to maintain optimal oral health. Preventive dentistry is one of our favorite areas to focus on because we can identify problems before they become severe, and stay in control of your overall health. Teeth cleanings, exams, sealants, fluoride treatments, and oral cancer screenings are all performed in our office. Scheduling regular visits with us for cleanings and exams are the best protection for maintaining a healthy smile. Oral surgery might sound like a scary procedure to have. But with the All-In-One Dental Innovations team, you don’t need to worry. We make sure our patients understand the process and create a comfortable environment to reduce stress. 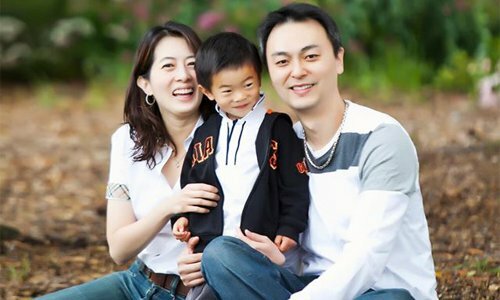 Dr. Huang is the top oral surgeons in the East Bay and has years of experience with performing extractions, implants, bone grafting, and sinus lifts. Our goal is to make the procedures as least invasive as possible, which will aid in the healing process. Whether you have wisdom teeth that need to be extracted or would like to an implant placed for a gorgeous full smile, we can help. When you want the best orthodontic care in the area, look no further than our practice. We provide options to help correct bad bites, improving the alignment of your teeth to give you a straighter, healthier smile. 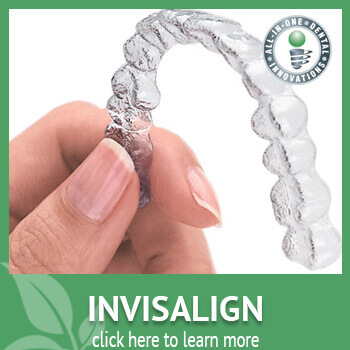 Our office offers Invisalign® and traditional braces for correcting alignment issues. Invisalign® aligners provide a more comfortable approach to straightening teeth and are a preferred method of choice for adults. They are removable, and allow you to live your life, enjoying the foods you like, and maintain brushing and flossing habits at home with ease. Traditional metal braces are ideal for those that have severe alignment issues or bad bites and work great for patients of at any age. Dr. Huang is also an Invisalign® Preferred Provider. The buildup of plaque under the gum line and on teeth can lead to periodontal disease. For some patients, it is difficult to brush and floss effectively or can’t get in between teeth. In places where food debris and bacteria aren’t removed, it will turn to plaque and then harden into tartar. Tartar is impossible to remove without dental intervention. When a patient has an untreated periodontal disease, tooth decay, bone loss, and tooth loss. Bleeding or receding gums accompanied with tenderness and discomfort are all signs you may have periodontal disease. Dr. Huang provides periodontal disease treatments including pocket irrigation, crown lengthening, scaling and root planing. A Beautiful Smile Will Make You Feel Great! James Huang, your TRUSTED dentist can make it a reality! Finding our office is easy! We are conveniently located at 7046 Dublin Blvd in the heart of East Bay, right at the intersection of I-580 & I-680. We are across the street from the Alameda County Fire Department. At All-In-One Dental Inventions, our priority is to provide the best possible care for all our patients. 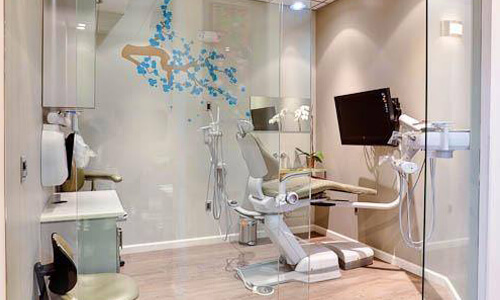 Once you visit our clinic, you will have access to the latest, most efficient technology in the dental industry. Our dentists and procedures are gentle to the touch, smooth enough for every member of your family! Let Us Give You the Best Oral Care You Deserve! A great dental team is the first step towards getting the best care. 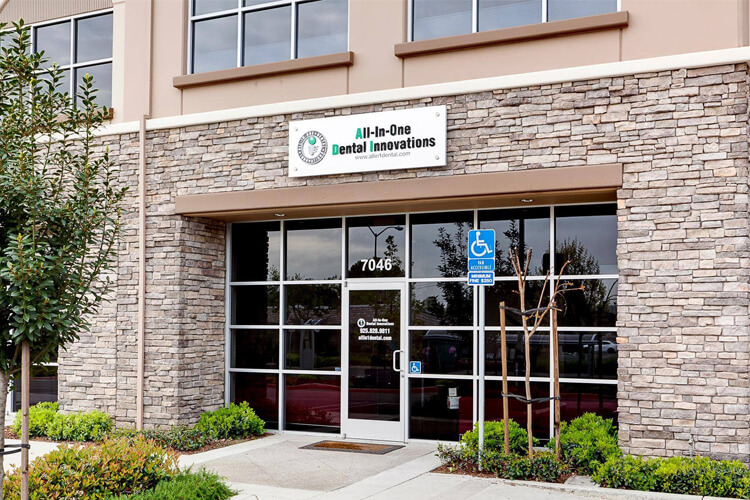 All-In-One Dental Inventions has a team of highly trained professionals that provide exceptional services to help our patients obtain optimal oral health. Whether you need to whiten, replace, or align your teeth, we guarantee a 5-star, personalized experience. You can reach us during office hours at (925) 828-9811. Whenever we ask our patients what they love about All-In-One Dental, one clear response will shine through. 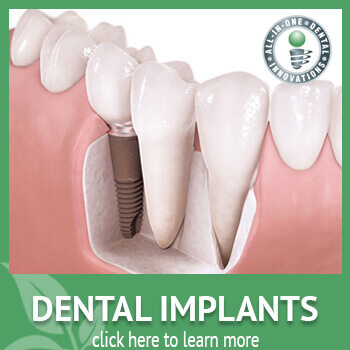 That we are a professional dentist office that offers quality dentistry care. We believe that making our patients feel comfortable, providing exceptional service, and providing flexible insurance and payment options is exactly what makes us unique. And our patients seem to agree. Click below to read our reviews! All-In-One Dental believes in providing the best treatment possible. Each patient has different needs. We always strive to use the latest dental technology available to make sure you receive comfortable, efficient, and top quality personal oral care. We also believe in educating our clients so you can take a pro-active role in maintaining and/or improving your smile. Today’s modern technology provides many treatment choices. Please allow us to serve you and to show you why all dental offices aren’t created equal. We are proud to provide 5-star services to the Dublin, Livermore, San Ramon, Pleasanton and surrounding areas! As a graduate of Tufts University School of Dental Medicine and a Harvard University Student with an Implantology Certification, James Huang brings a new level of modern dentistry. He is also a proud member of the American Dental Association, California Dental Association, American Academy Of Cosmetic Dentistry, & the Academy Of General Dentistry. James specializes in tooth implants, crowns, and root canals. He has helped families with comfortable dentistry for over 10 years. Dr. Huang and our staff have performed exhaustive research and invested in training, processes, and the latest technology to provide you with the most beautiful, long-lasting, and functional smile.